Discussion in 'iPhone and iPad Games' started by Dam94, May 28, 2016. 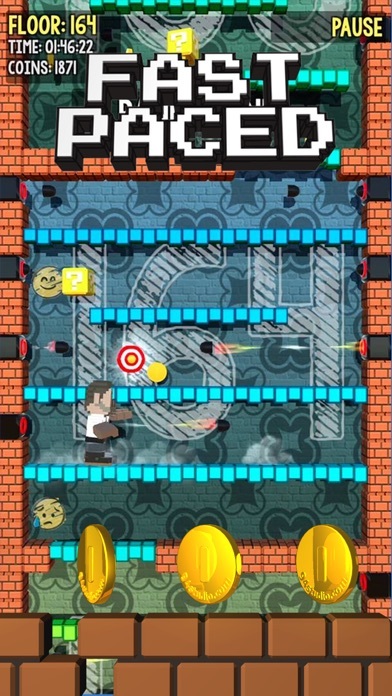 UpFloorZ is an exciting and relaxing one tap endless platformer game where your goal is too reach the highest floor. 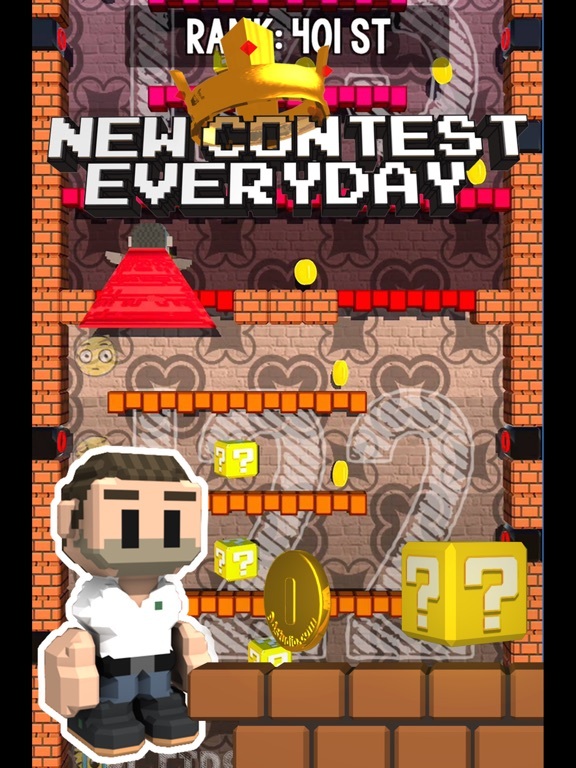 Every day a new contest start, every player re-start at floor 0 and have 24 hours to reach the highest floor. 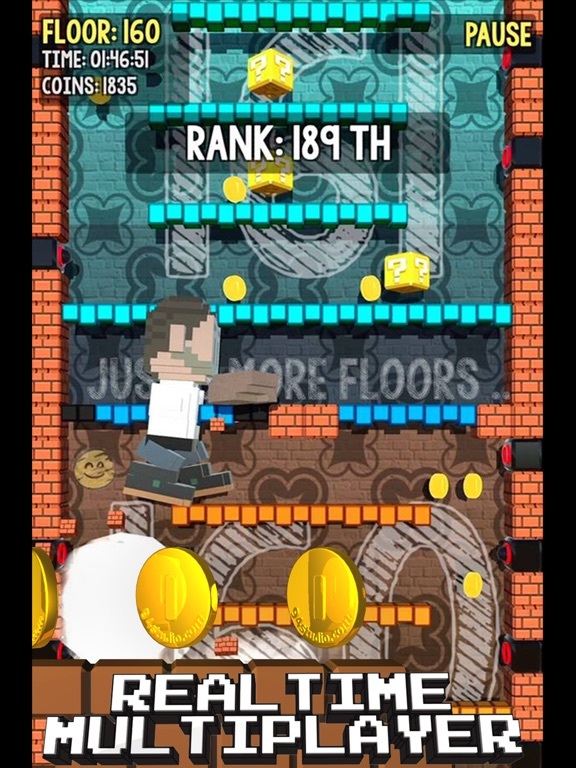 It's a realtime multiplayer game so you will see other players positions while you are climbing floors. 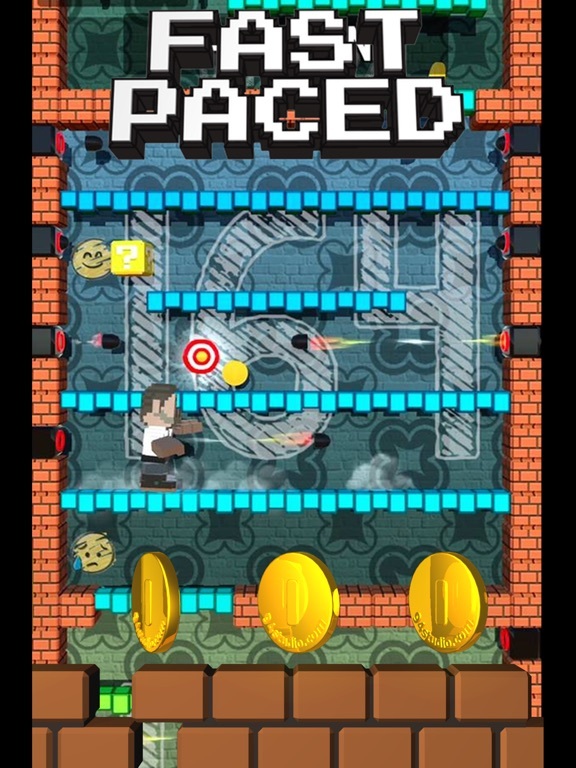 - Giant: become 5 times bigger and crush all the bricks on your way to the top ! - S-Man: Wear your red cape and fly straight to the top ! - Magnet: grab all the coins around you. - Top Hat & Monocle: double all the coins you get. - Shield: Go through the bullets without fear. You earn XP each time you play and gain skill points every level up. Those skill points can be spent to increase power ups duration. 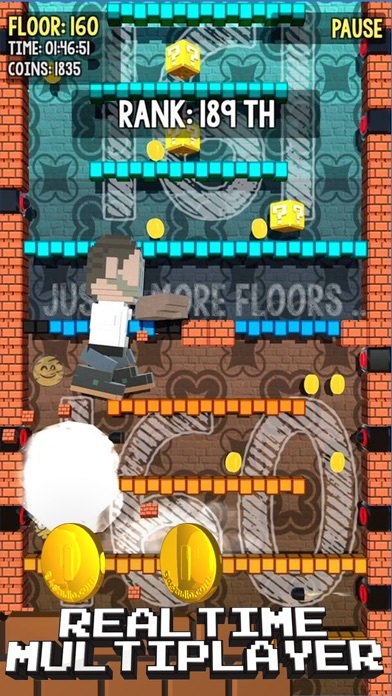 UpFloorZ is a Fun, Fast paced, multiplayer platformer with new contests every 24 hours. It's very exciting and relaxing at the same time. With a single 'Tap' control, it's easy to learn yet hard to master. 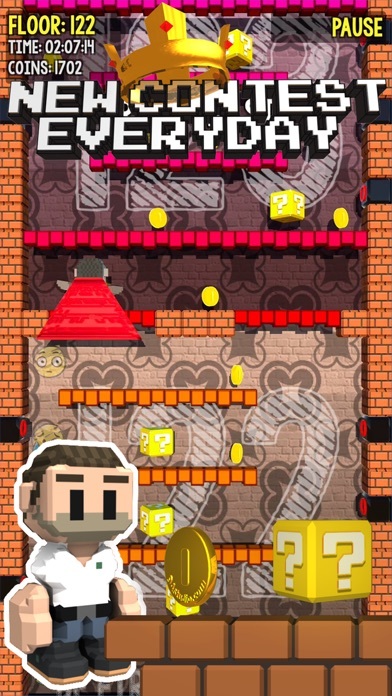 Every day a new contest start: every player re-start at floor 0 and have 24 hours to reach the highest floor. 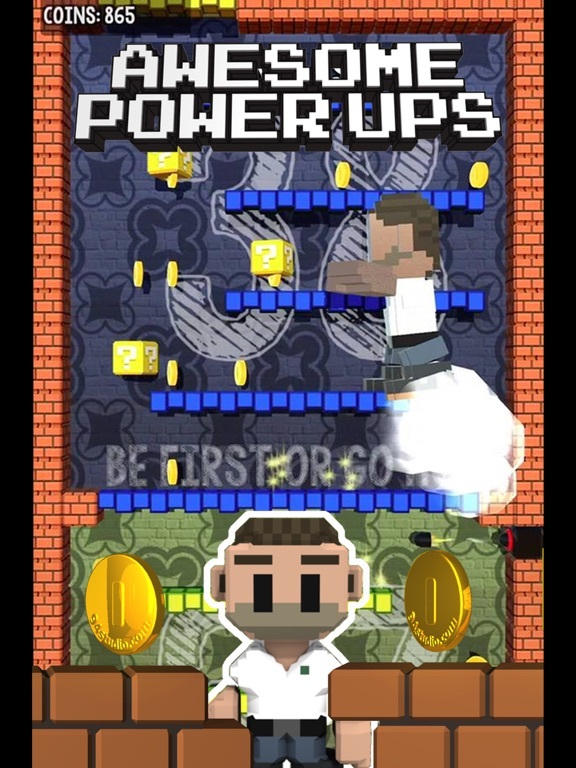 It's a realtime multiplayer game so you will see other players positions while you are ascending to the top ! 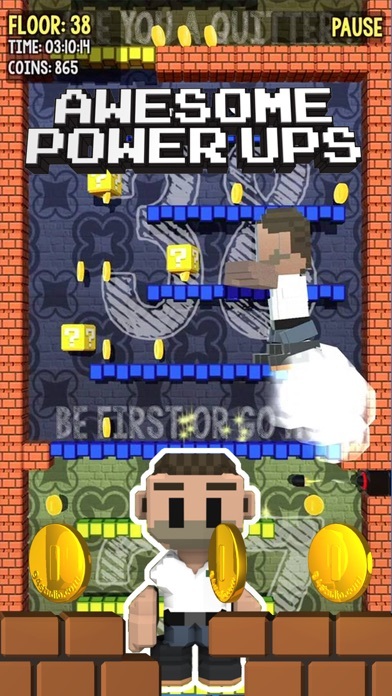 There are a lot of awesome power ups: - Giant: become 5 times bigger and crush all the bricks on your way to the top ! - S-Man: Wear your red cape and fly straight to the top ! - Magnet: grab all the coins around you. - Top Hat & Monocle: double all the coins you get. - Shield: Go through the bullets without fear. You earn XP each time you play and gain skill points every level up. Those skill points can be spent to increase power ups duration. We changed the gameplay for a smoother experience allowing you to keep your finger on the screen to jump anytime it's possible. I highly value feedback, especially from real gamers. could you tell me why the game didn't retain your attention ? why the first post isn't appealing ? Also if you tried the game do you have any feedback ?